If you had the chance to speak with an adcom from a top 20 medical school, would you be bold and ask what MCAT score you needed for admission? I cannot tell you to aim for a specific total MCAT because I would be doing you and our medical school a disservice. I can only tell you to get the highest MCAT score you can possibly get. The reason being if I told you to score XYZ and that's what you got, it would not be good if all other applicants this year were scoring several points above your score. This is why I cannot give you a target score but encourage you to present your best credentials when applying to us. Since, I didn't get a direct answer to my question I'm going to help you out and share what it takes to get into medical school based on your MCAT. But before jumping into things I need to reveal a hidden truth about medical schools and your application. Can You Beat a Computer? Each year the number of applications to medical schools continues to increase which is creating a problem for adcoms and you...more competition. That's over 10k applications a medical school needs to sift through to find ideal candidates for admission. Do you think adcoms are going to read all those applications individually? I don't think so. 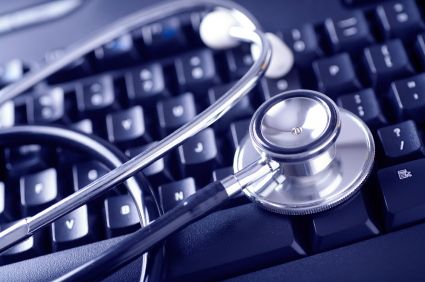 Medical schools will use a computer to screen applicants based on their MCAT score. If you are below the minimum cutoff score then the computer will automatically place your application in the rejection pile. This means no human will ever read your application. As premed student I know you're number hungry and it shouldn't come as a surprise to learn 60% of first time applicants to medical school are REJECTED! Becomes meaningless because no one will ever read your application to discover how great a fit you are for medicine. This is why you must give the MCAT the attention it deserves. The MCAT is your gateway to getting into medical school and if you don't have the numbers it is very hard to get admitted. Some people will tell you they got into medical school with subpar MCAT scores but they are the exception to the rule. I wouldn't hedge my future on anecdotal evidence of what worked for one medical student is going to work for you. The numbers are very clear with over 10k applications no adcom is going to have the time to investigate your application at depth to find out why you didn't score as competitively as the other applicants. Plus, with so many applicants applying there's no incentive for the medical school to accept you over another premed student who has better numbers. When I was in grad school getting my master degree one of my classmates would always say, "I'm not average" this was her mantra in life. She never believed she was average and her test scores proved she wasn't average. She continues to be above average because she's currently pursuing a residency in Plastic and Reconstructive Surgery where if you know anything about the competitive nature of medicine certain medical specialties require top USMLE scores across the board. Before I get into what's average I need to explain the basics of MCAT scoring. On each of these sections of the MCAT you can earn a score from a low of 118 to a high of 132. Each section is centered for the 50th percentile to be at 125. 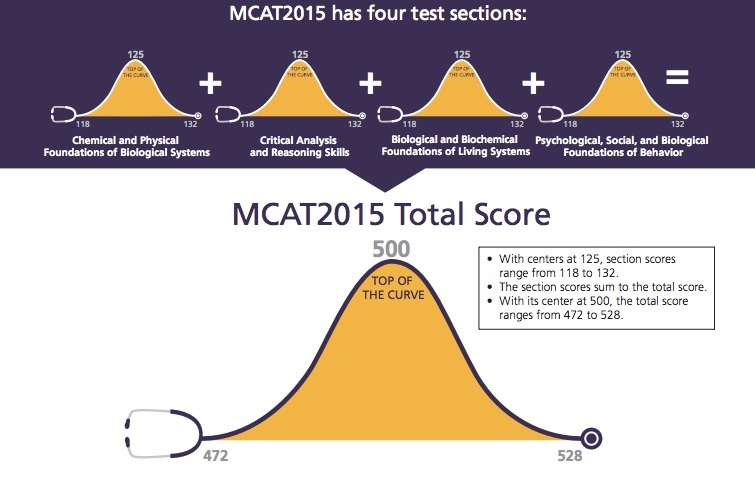 The section scores are summed to give you your total MCAT score which can range from 472 to 528. Again the 50th percentile for total MCAT is 500. In high school my teacher always said, "Math is the language of science" and talking about MCAT scores is no exception. If you score a 500 on your MCAT that puts you squarely in the middle of all test-takers. Not exactly where you want to be if you're aiming to actually get admitted to medical school. You have to standout and go from a "diamond in the rough" to an applicant who "outshines" the competition. One of the easiest ways to do so is by having a great score. I already told you performing well on the MCAT will get your application past the computers and into the hands of a human. If this doesn't happen you can kiss goodbye your chances of becoming a doctor. 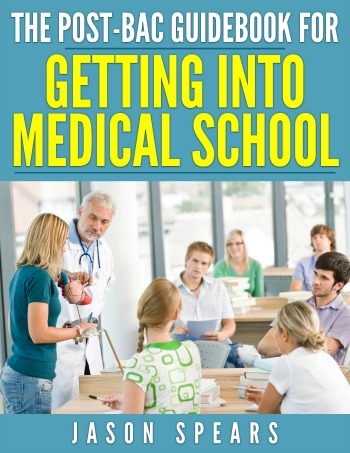 Getting into medical school is just the beginning of your journey in medicine. You're going to need to take and pass medical licensing exams known as USMLE for allopathic medical students and COMLEX for osteopathic medical students. Adcoms are aware these exams are in your future and there's plenty of data available which makes a correlation between how you perform on the MCAT and your ability to pass your licensing exams aka Boards. The MCAT also predicts your ability to graduate on time (four years) from medical school. Historically, if you scored between 24 to 26 on the old MCAT which had a high score of 45, 80% of medical students with this MCAT score would graduate within 4 years while 91% graduated within 5 years. This range is on the low end and you really aren't a competitive applicant for medical school if you have a MCAT score between 24 and 26. On the "old MCAT" applicants who had a sure chance of acceptance typically presented with MCAT score of 30 or above which converts to 509 on the new MCAT. As this is a standardized test this means being in the 79 percentile or better. Thanks to Magoosh for putting together this nifty MCAT score conversion chart. Average will not cut it for getting into medical school. If you score a 500 on the new MCAT your score will actually be comparable to 25 on the old MCAT and this is really going to put you out of reach for getting into medical school because you're below the score of all MCAT test-takers and very far behind medical school matriculants based on MCAT score alone. My mentor from the University of Chicago Pritzker School of Medicine had this to say about the MCAT, "The MCAT is a test you want to take once and only once." He is 100 percent correct. The new MCAT is actually going to put students at a disadvantage if they need to retake the MCAT. There's a lot more data for medical schools based on the new MCAT score reports. There will be percentile ranks reported for each section of the MCAT allowing adcoms to see how you fare in comparison to your peers. Confidence bands will be included to accurately reflect how you did on each section and your total MCAT score. There's no room for error or to think your score is an outlier with these measures now. Plus there will be score profiles to show medical schools your strengths and weaknesses. Meaning they can see if you score very high in one section or have a low score in another section. 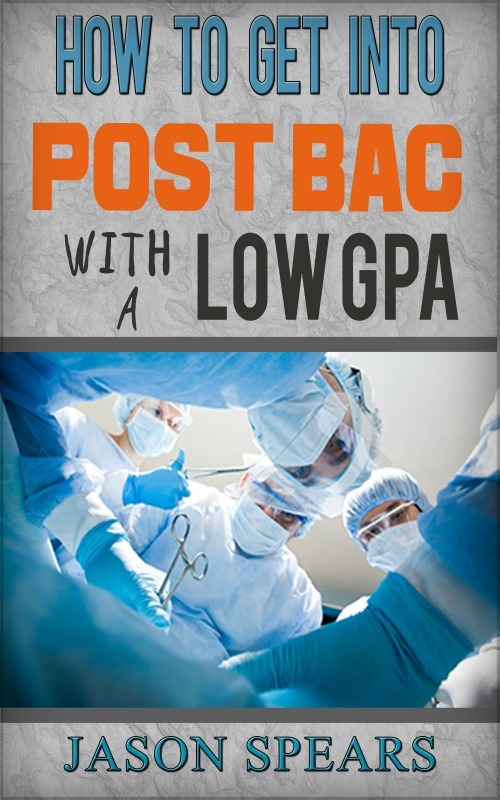 You don't want to have lopsided scores in sections leading to a skewed total MCAT score. Every time you retake the MCAT you're digging yourself a hole and it doesn't bode well for your chances for admission to medical school. I tell students only take the MCAT when you're most prepared. Also never be afraid to postpone your MCAT test date. There's no shame in taking more time. I actually pushed my MCAT test date back and it made a huge difference where I was originally not scoring where I thought was competitive enough despite all my efforts. Somehow with the extra 30 days I pulled everything together and scored well enough to have Harvard Medical School come recruiting based on my MCAT score. I was even told by one adcom, "you're here because of your MCAT performance." The MCAT will either make or break your chances for getting into medical school. Even if you get to the testing center and are working your way through the exam you still have options. If you feel you aren't doing well and won't get the score you need there's always the option of voiding your MCAT score. It's the biggest decision you'll have to make. You've completed your MCAT and now have to decide if you want to submit your exam and have it scored or not. I tell students if nothing horrific has happened during the test, you didn't blank out on massive sections of the exam then it's probably in your best interest to go ahead and have your MCAT scored. Have you been scared straight? Growing up there used to be a TV show called, "Scared Straight" where wayward youth who were headed down a path of trouble, courts and jail would be taken to a prison and the inmates would give them a harsh dose of reality. The goal was to scare these juveniles to change their ways and avoid becoming prisoners. I don't want to scare you so much that you runaway from the MCAT but I want you to give the MCAT the attention and dedication it deserves. I'm being 100% when I tell you performing well on the MCAT is your golden ticket to getting into medical school. You don't have to have the highest GPA or come from the best college but if you perform well on this exam it can make up for a lot. The MCAT is a standardized test and is an apples to apples comparison of applicants from all walks of life and is why adcoms put so much weight on this exam. Now you know what you're up against when it comes to the MCAT. Would you like a way to breeze through your MCAT prep that practically guarantees you'll get the MCAT score you want? You'll want to grab my MCAT Mastery Companion course that will change your life and give you the tools you need to get into medical school and it all begins with crushing the MCAT by using my exclusive MCAT Mastery course.